Get rid of white stripes on the sides of images (or above and below). 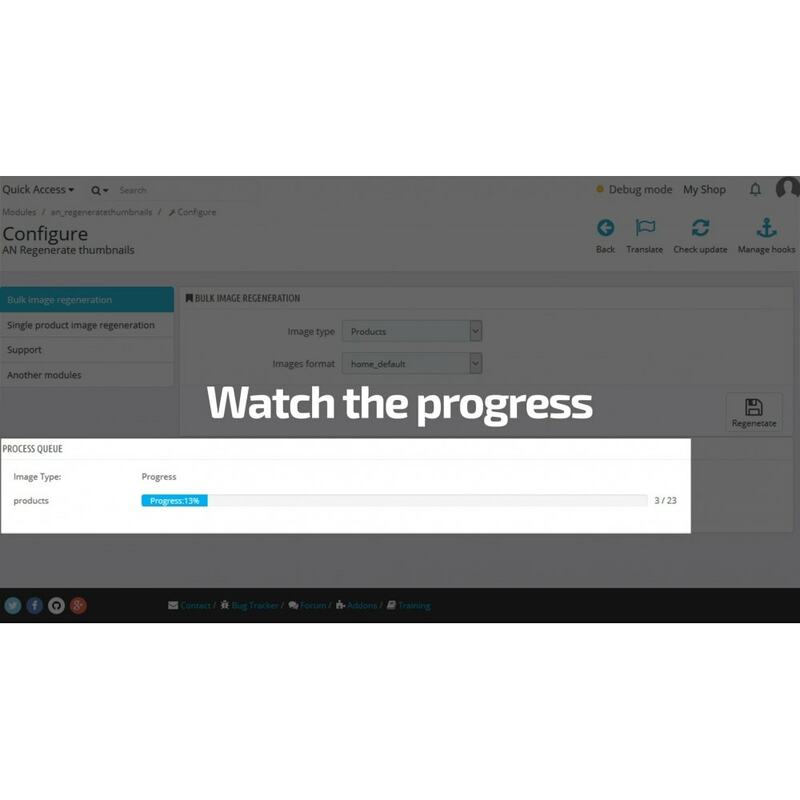 Just choose a type of images and wait while the module is replacing white-striped images with the original ones. Unlike the built-in function, the module doesn’t overload a server. 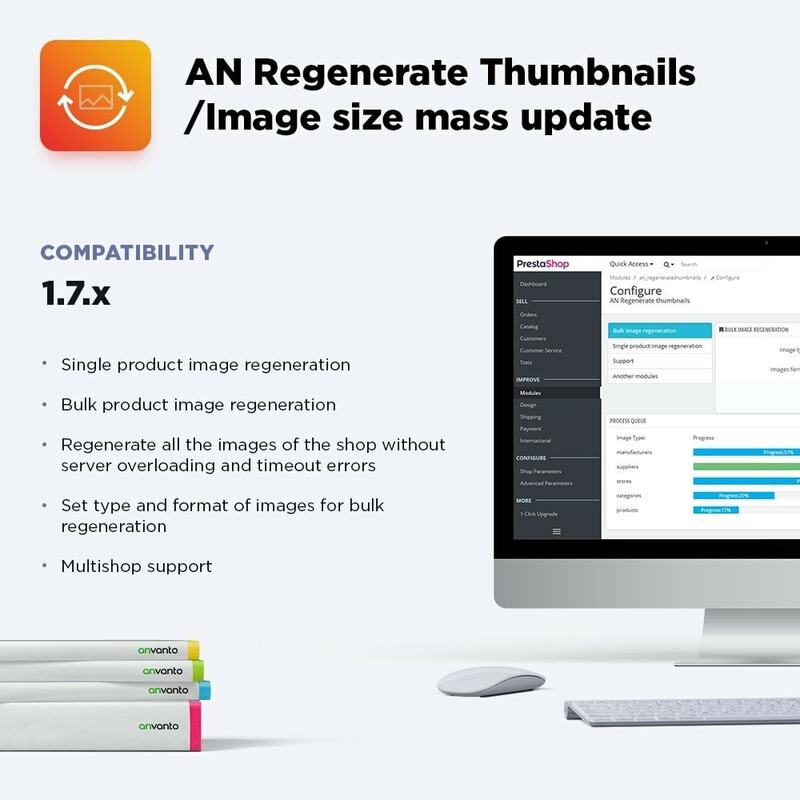 Server is not overloaded – images are regenerated one by one. No timeouts – regenerated image replaces the previous one in one moment. 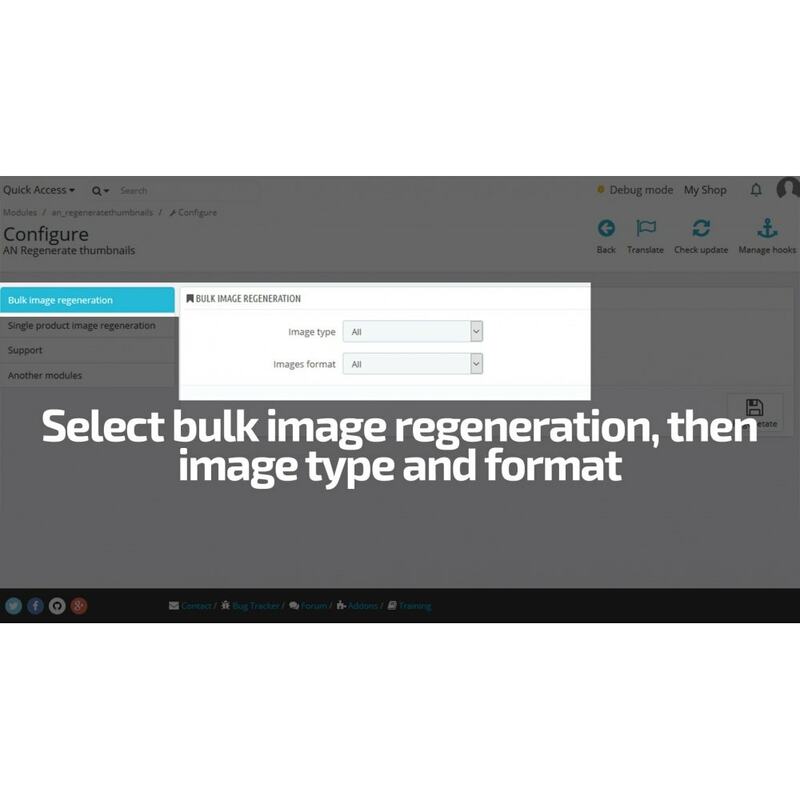 Mass regeneration – choose bulk regeneration and get a cup of tea, the module will regenerate all images according to type and format selected.